U.S. Border Patrol agents in Texas have detained a 10-year-old girl after she was discharged from a hospital for emergency gallbladder surgery. UPDATE: This story has been updated to reflect a lawsuit filed in this case and a judge’s ruling canceling a hearing. 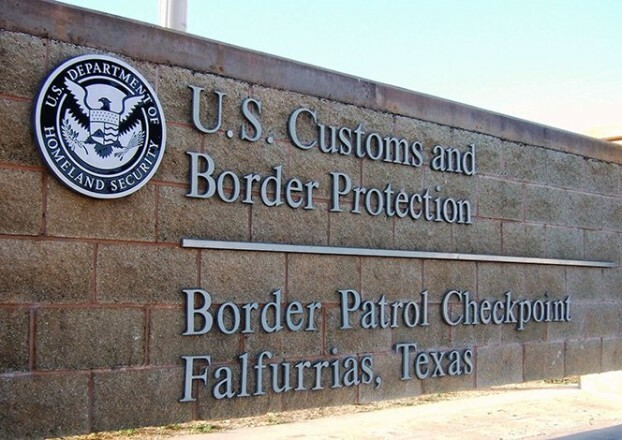 A week after U.S. Border Patrol agents in South Texas stopped an ambulance at a checkpoint and eventually placed the 10-year-old patient inside in detention, the American Civil Liberties Union has sued the federal government, demanding the child’s release. In a move that was unusual even amid harsher rhetoric and enforcement around immigration, agents at a Border Patrol checkpoint stopped an ambulance carrying Rosa Maria Hernandez from a hospital in Laredo to one in Corpus Christi for emergency gallbladder surgery. After the stop around 2 a.m. Tuesday, agents allowed the ambulance to continue to Driscoll Children’s Hospital but followed it to that destination two hours’ drive away, then waited through the child’s surgery and outside the recovery room until her release. The Border Patrol has confirmed the sequence of events. On Thursday, a federal judge in Texas on Thursday canceled a release hearing for Rosa Maria that had been set for next week in the ACLU’s legal challenge. In his three-page ruling, U.S. District Judge Fred Biery questioned why immigration authorities had not also apprehended Rosa Maria’s mother and asked the ACLU to file a brief arguing why it believes the legal challenge will be successful. Since Border Patrol agents stopped her ambulance at a checkpoint early October 24, the child has remained in a shelter run by the federal Office of Refugee Resettlement. Her lawyers say immigration authorities have refused to reunite the girl with her family while she awaits potential deportation. Paperwork filed in the lawsuit says Rosa Maria is agitated over the separation from her family as she recovers from surgery. Relatives say her cognitive development resembles that of a 6-year-old. Rosa Maria was 3 months old when her parents – neither of whom are U.S. citizens – brought her from Mexico in part because they could not afford the treatment she needed for cerebral palsy, relatives told The New York Times. Medicaid has paid for her care in Texas. During the checkpoint stop, Border Patrol agents reportedly tried to get Rosa Maria’s parents to transfer her to a hospital in Mexico, but they refused to sign a voluntary departure form. After the Corpus Christi hospital discharged the girl, the Border Patrol drove her another two hours north to San Antonio and, along with the Office of Refugee Resettlement, placed her in a detention facility that usually holds young Central American immigrants who travel to the U.S. without their parents. A lawyer representing Rosa Maria’s family says doctors have recommended that the Border Patrol release her to the care of relatives who have legal status to live in this country. A cousin who rode with her in the ambulance is a U.S. citizen and was able to clear the checkpoint. Democratic U.S. Reps. Joaquin Castro and Henry Cuellar of Texas urged immigration authorities to remove the child from detention. Castro called the situation unacceptable. In a statement, the Border Patrol defended its agents’ actions, noting that they ensured she received proper medical care. The agency also indicated that once Rosa Maria is “medically cleared, she will be processed accordingly.” That processing could lead to her deportation, a family lawyer says. So far, there’s no indication how long authorities might detain the girl. If the federal Department of Health and Human Services does approve a sponsor for Rosa Maria, she will still be subject to processing and possible deportation. The child’s family has begun a crowdfunding campaign to relocate from its one-bedroom apartment, in case a site visit determines that the dwelling is insufficient for Rosa Maria’s needs. Six members of the family, including Rosa Maria, have lived in the apartment for about three years, the Corpus Christi Caller-Times reports. The lawsuit filed Tuesday seeks to return Rosa Maria to her parents in Laredo, about 150 miles from the federally funded children’s shelter in San Antonio where she awaits processing and potential deportation. The suit claims the child has the mental capacity of a six-year-old. Lawyers for the girl’s family say she has never been separated from her family. Her father visited Rosa Maria in the shelter this week, but he did not accompany her out. Through an interpreter, her mother has claimed to reporters that the shelter is not equipped to care for her. A representative of the federal Department of Health and Human Services, which operates that shelter, told The Washington Post that the agency cannot comment on individual cases but does try to ensure minors’ health and safety. The Border Patrol has commented that its agents acted within the law by escorting Rosa Maria and ensuring she received medical care. Correction: A previous version of this story misstated the name of one of the Texas congressmen. He is Joaquin Castro. A previous version misspelled Rosa Maria’s first name. Cheryl Devall can be reached at cdevall@revealnews.org. Follow her on Twitter: @0212crd.